Mr. Humes is Chairman and Chief Executive Officer of Greylock Capital, which he founded as a joint venture with Van Eck Global in May 1995. He is Co-Chief Investment Officer with Diego Ferro since October 2012. Mr. Humes has 23 years of experience working in emerging markets. 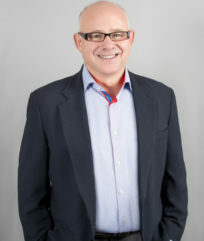 He was a Managing Partner of Van Eck Absolute Return Advisors, Inc. where he launched the fund which became the Greylock Global Opportunity Master Fund in 1997. From 1991 to 1994, he was a key member of the Lehman Brothers emerging markets debt trading team, co-developing the desk and managing over $500 million in investments. Prior to that he traded a proprietary debt portfolio at Banco Santander and engineered several debt/debt and debt/equity swaps in Latin America. He began his career at Manufacturer’s Hanover, where he worked on the sovereign debt restructurings for the Philippines and Yugoslavia. Mr. Humes served on the Steering Committee of the Private Creditor-Investor Committee for Greece. He also served as the Co-Chairperson of the Global Committee of Argentine Bondholders (GCAB). Mr. Humes is currently co-chair of the Institute of International Finance’s (IIF) Committee of Sovereign Risk Management, a trustee of the IIF’s Principles Consultative Group (PCG) for the Principles for Stable Capital Flows and Fair Debt Restructuring in Emerging Markets, a member of the IIF Working Group on Reconciliation of Past Due Sovereign Debt and a member of the IIF Market Monitoring Group. He is a member of the World Policy Institute’s World Policy Council, a non-partisan source of global policy analysis that identifies critical emerging global issues. Mr. Humes also is on the board of directors of the MacDella Cooper Foundation, which provides care and schooling for Liberian orphans, and the Wendy Hilliard Gymnastic Foundation, which provides gymnastics training for inner city youths in Harlem. Mr. Humes is also on the board of trustees of the New York Theatre Workshop. Mr. Humes is a frequent commentator on markets at Bloomberg, CNBC and CNN. He has lectured at Columbia Business School, the Wharton School of the University of Pennsylvania, the Guanghua School of Management at Peking University, the Center for Development Economics at Williams College, and the Stern School of Business at New York University, among other institutions. Mr. Humes received his BA from Williams College in 1987. He has lived and studied in Nigeria, Morocco, Canada, Netherlands, Chile, Mexico, and Belgium and is fluent in Spanish.